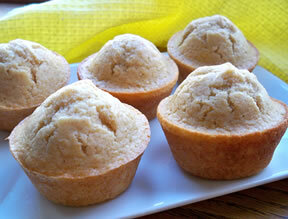 Moist and delicious banana muffins with a hint of cinnamon flavor. Perfect for a quick breakfast or to serve at a brunch. In a large bowl, mash together bananas and sugar. Add lightly beaten egg and melted butter. In a separate bowl, whisk all dry ingredients together, then add to wet ingredients. Mix until well blended (do not over mix). Line large muffin tins with paper cups. 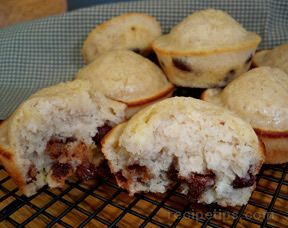 Fill muffin cups up to the rim. Bake in preheated oven for 20 minutes. 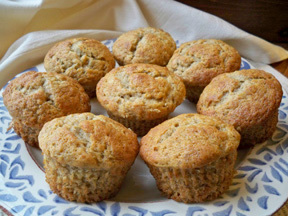 Test for doneness by piercing muffins with a toothpick. If toothpick comes out clean the muffins are done. 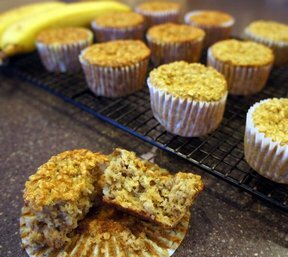 If wet batter still clings to the toothpick, return muffins to the oven and cook for another 2 or 3 minutes, or until the toothpick comes out clean. Be careful to not over bake. Remove from oven and transfer muffins on to a wire rack to cool. "These turned out great! We had company for the weekend and so I needed something easy to serve with coffee on Sunday morning. My husband even thought they were good and he doesn't usually eat anything first thing in the morning."